The DVD was originally developed by Sony, Panasonic, Toshiba, and Philips in 1995, which quickly became the format of choice for home video viewing, for it provided users better image &sound quality, a better data lifespan, and interactive features. In the early 2000s, Blu-ray was developed and the first consumer Blu-ray players hit the market in 2003. And Blu-ray gradually occupied the market and finally won the high definition format war, for it allowed the storage of high-definition and ultra-high definition video. What is more, Blu-ray has seen adoption by not just the home video industry, but also the video game industry. While many consumers might assume that Blu-ray is superior to the DVD format just because it’s new, but they may not know the big differences between Blu-ray and DVD. So if you just want to know more, you’ve come to the right spot. 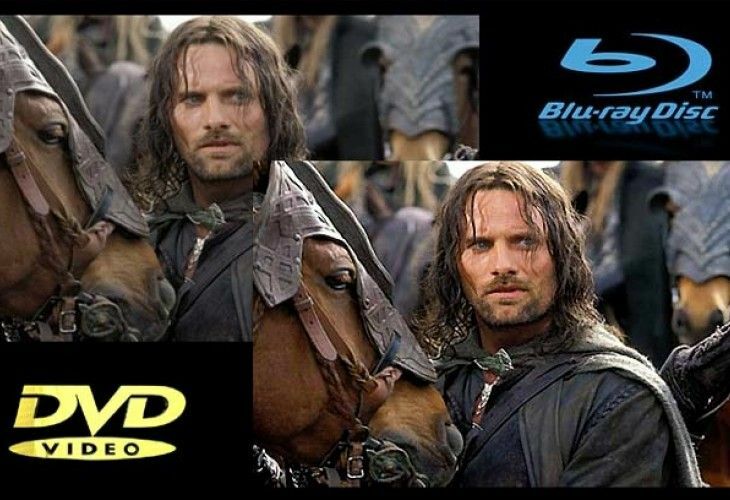 We will draw a comparison between DVD vs Blu ray quality. 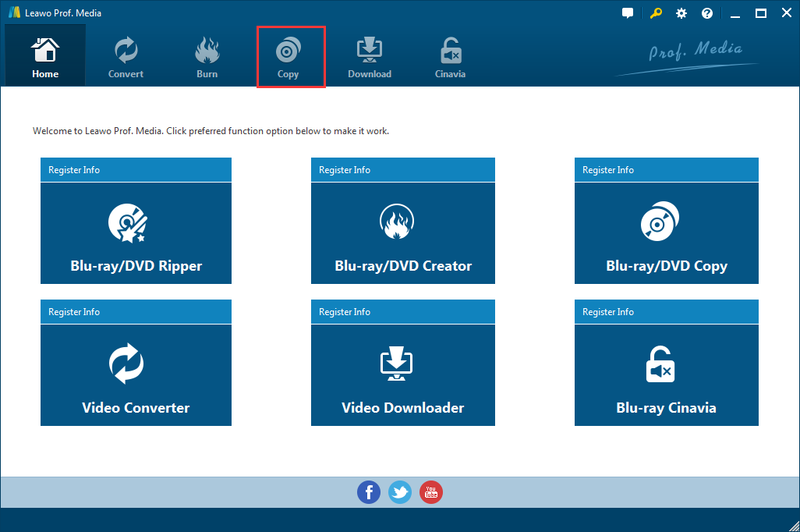 How to back up Blu-ray/DVD disc with Leawo Blu-ray Copy? As we all know, image resolution is measured by the number of vertical lines times the number of horizontal lines of light in a picture. In fact, you can get 1920×1080 pixels on a Blu-ray—that’s 2,073,600 pixels while DVD delivers just 345,600 pixels in America, which means Blu-ray is almost exactly 6x the resolution of DVD. Each Blu-ray- Single layer Blu-ray discs store approximately 25 GB of data, while double layer Blu-ray discs can hold about 50 GB of data which is equal to about four and a half hours of high definition information or 26 hours in standard definition. Therefore, you can get a lot higher quality video and the supported video compression formats made for a better picture and more efficient use of space. And DVD- Single layer DVDs can only store about 4.7 GB of data, and double layer DVDs can store twice the amount of data at 8.7 GB. DVD audio, specifically as defined in the Red Book standard, consists of two channels (stereo) of 16-bit, 44.1 KHz linear-PCM audio. Blu-ray, by comparison, can support several audio formats, such as the Multi-channel LPCM, Dolby TrueHD, DTS-HD Master Audio, Dolby Digital Plus …The Blu-ray standard only requires LPCM, core DTS and basic Dolby Digital decoding, but most players these days implement TrueHD and DTS-HD MA as well. So, Blu-ray supports much higher quality audio than DVD. Blu-ray discs cannot play in a standard DVD player, for the red laser used in DVD players is too large to read the tiny grooves in a Blu-ray disc. Currently, all Blu-ray players sold on the market are backwards compatible with standard DVDs. However, the DVD image displayed, while still decent, will not be high definition quality like a Blu-ray disc. We have got better understanding of DVD vs Blu ray in this article. Maybe you’ve got shelves of DVDs and Blu-rays from the days before streaming. And you may consider digitizing those ones, for they are really fragile, easy get dusting and do take a lot of space. To help you digitize them, we’ve rounded up the best tools for ripping DVDs and Blu-rays, the Leawo Blu-ray Copy. Leawo Blu-ray Copy could offer user the best solution to copy Blu-ray movie and copy DVD movie without any quality loss. 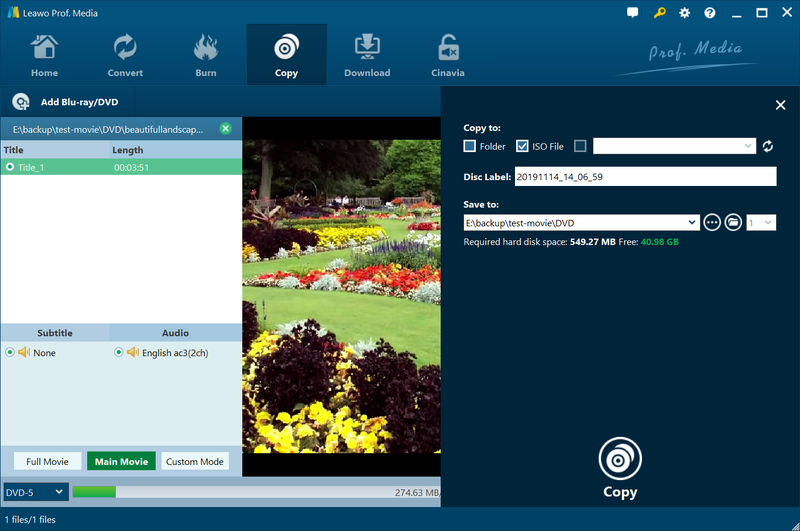 As the best Blu-ray backup software, Leawo Blu-ray Copy software could copy Blu-ray and backup DVD regardless of disc protection and region restriction. You can use it to copy Blu-ray and DVD with no quality loss. If you need, you can also compress BD50 to BD25 and DVD-9 to DVD-5. So follow the simple steps below to back up Blu-ray/DVD disc with Leawo Blu-ray Copy. Then you can watch them on your phone, computer, or tablet anywhere, anytime. Step 1: Click the option “Blu-ray Copy”. Step 2: Directly drag and drop the source files to the interface. Step 3: To set the 1080P Blu-ray file parameters, you can choose disc type, copy mode. There are 3 copy modes available. Full Mode is for copying contents of the whole disc; Main Movie is for Movie-only backup; Custom Mode is for whatever chapters of video content in the disc to copy. Step 4: After setting all the parameters, click the big green option “Copy” on the top-right corner to call out a sidebar. On it, you can check Folder or ISO folder to back up your Blu-ray/DVD to your computer hard drive as a folder or an ISO image. If you have a blank disc and another optical drive capable of burning Blu-ray/DVD discs, you can put the disc in the Blu-ray/DVD burner and check the third option to directly copy the original disc to the blank disc. The box under save to is the default output directory for the folder and ISO image. 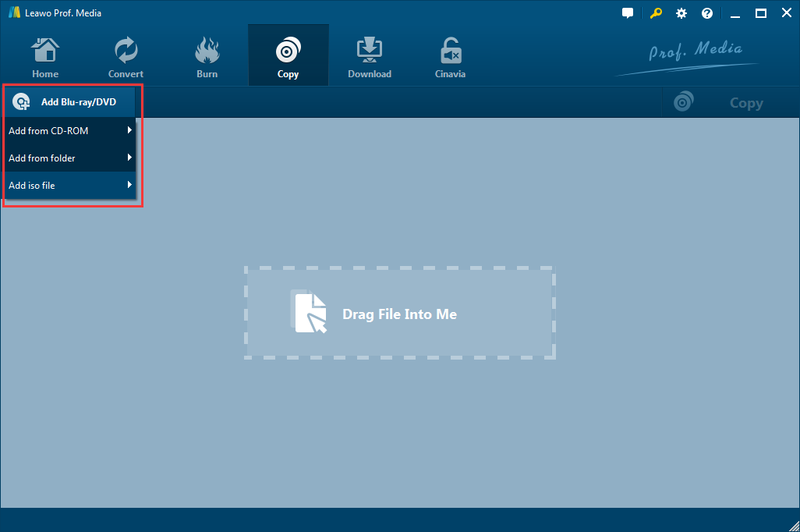 Step 5: Click the button “Copy” at the bottom to start to copy. Although Blu-ray discs look exactly the same as DVDs in size and shape, after reading the article about DVD vs Blu ray, we can figure out that there are lots of differences between the media, including resolution, storage capacity, laser technology, disc construction, image resolution and player compatibility.